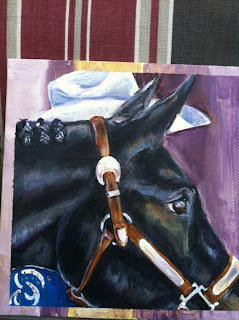 Worked on this painting this week, reference photo form the last horse show my daughter went to. Worked this in acrylic, feels like that medium is becoming a little more familiar! May try it in watercolor as well. Off to water the flowers before they wilt in this heat! The horse does have that anticipatory look in his/her eye! She is such a sweet little mare, have lots of pictures of her, you will see more paintings with Jackie O! 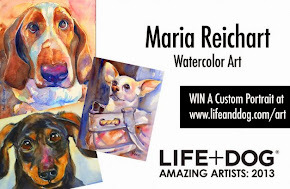 Your last few paintings are amazing and I see such skill in your light touch! I love your blog and am following you. I sketch and need to bet back to playing with watercolors... I started photography to become a better painter... and haven't really gone back ... I guess I am my worst critic. Great work! I love the braided mane!